The official lyric video for the song "Creepin' Again" from Canadian thrash/heavy metal masters ANNIHILATOR can be seen below. The track is taken from the band's fifteenth studio album, "Suicide Society", which will be released on September 18 via UDR Music. As he has in the past, guitar wizard Jeff Waters handled all songwriting duties, played all guitar and bass, engineered, produced, mixed and mastered "Suicide Society", and he is also back commanding lead-vocal duties, as he did on the critically acclaimed "King Of The Kill" (1994), "Refresh The Demon" (1996), "Remains" (1997) and other ANNIHILATOR albums over the years. Waters previously stated about his return to vocal duties: "Dave [Padden, ANNIHILATOR's vocalist from 2003 to 2014) and I have, essentially, been ANNIHILATOR since 2003 but he resigned last December, citing having had enough of touring, being away from home and other commitments. I thank him for his 11 years with ANNIHILATOR. That said, ANNIHILATOR and I are known for never giving up and, occasionally, coming up with something even better than its former offering(s): this is undeniably the case with 'Suicide Society'!" 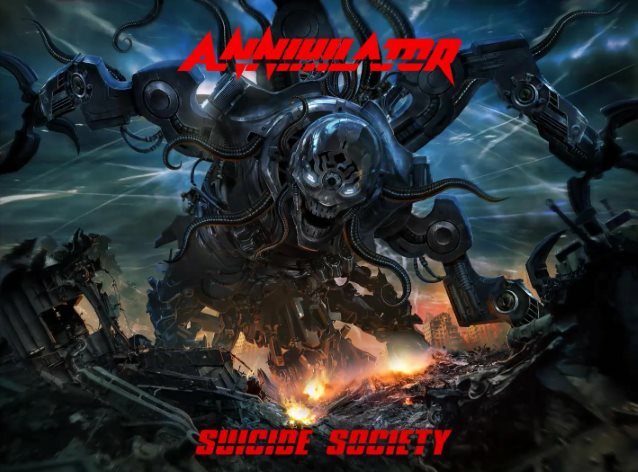 With "Suicide Society", ANNIHILATOR goes headfirst into some of the most technically perfect, crisp, and crushingly taut, riffage Waters has ever produced. Although Waters' vocals keep traces of stylings from his "King Of The Kill" album, they now evoke a surprising blend of legends such as Layne Staley, Ozzy Osbourne, James Hetfield and Dave Mustaine. This, in a twisted way, mirrors Waters' signature blend of riffing, drums grooves and bass; all drawing from multiple sources and genres. Waters has built a worldwide reputation as being a premier guitarist and songwriter; the conciseness and arrangement of "Creepin' Again" is both an air-guitarist's dream and a sharp reminder of this. 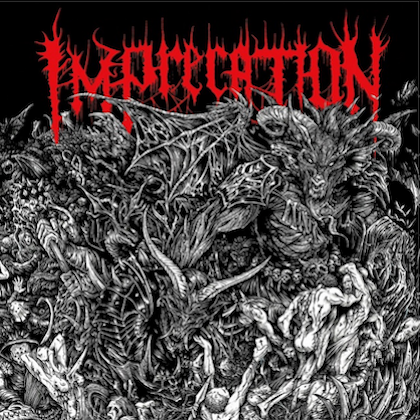 The gloriously-brutal thrash of "My Revenge" calls up a vintage of '85 with the technical chops of 2015. The neo-classic title track defiantly expresses anger at the state of world affairs, while offering up hope in closing. 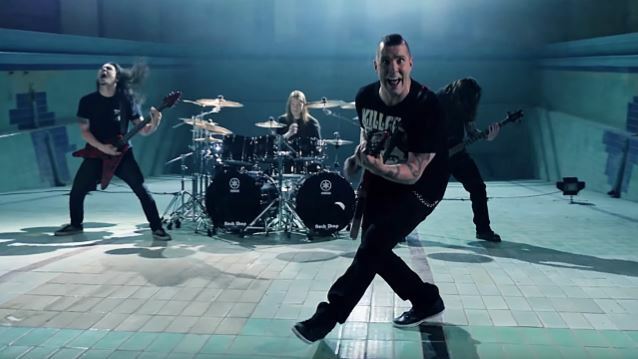 With the multi-layered power of the anthem "Snap", Waters illustrates the diversity of ANNIHILATOR's sound, without sacrificing one decibel of attack. "Metal fans will likely sport evil, satisfied grins on their faces, when they hear this record" chuckles Waters, "but in the words of Joe Perry: 'Let the music do the talking!'" ANNIHILATOR's touring lineup will include drum monster Mike Harshaw, who continues on for his fourth year with the band; and new guitarist Aaron Homma.